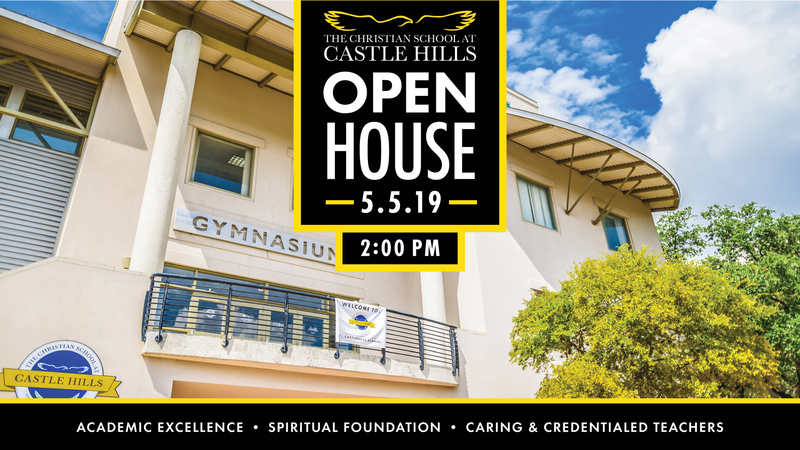 Come experience Castle Hills at our Open House on Sunday, May at 5th at 2:00pm. You`ll be given a brief tour of our school and have a chance to meet our students and faculty. 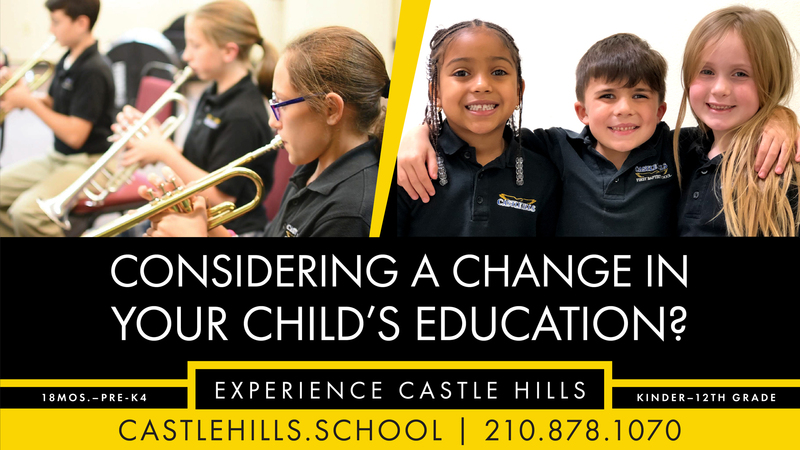 Castle Hills provides championship athletics, premier fine arts and academic excellence. We invite you to join our Eagle family and come see what makes Castle Hills great! 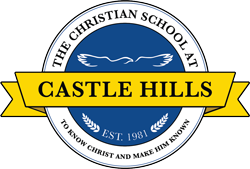 The Christian School at Castle Hills seeks to lead students ages 18mos. through 12th Grade to know Christ and make Christ known. Please RSVP to our Open House so we can look forward to meeting you!